You can be confident that we are standing behind you 100 percent and that we will fight aggressively on your behalf. Fighting back and holding employers accountable for committing these violations, however, can be the key to recovering. We are ready to answer your questions and help you pursue your best options for recovery and justice. If you have been the target of any violation of your rights as an employee, contact us today! Los Angeles Employment Lawyers | Wrongful Termination Lawyers: The Los Angeles employment attorneys and wrongful termination lawyers at the Azadian Law Group, PC are dedicated to exclusively representing employees in wrongful termination various employment law cases. Known for providing aggressive advocacy and personal service, our experienced labor lawyers are skilled at protecting employees’ rights, holding employers accountable, and fighting on behalf of our clients in both state and federal courts. A free consultation to see if you have a case. Focused and effective representation throughout your wrongful termination or employment law case. The insight, knowledge and resources necessary to achieve the best possible resolution to your wrongful termination or employment law case. Our Los Angeles employment and labor lawyers have recovered more than $30 million for our clients in just three years. We encourage you to continue exploring our site for more information about our experience, practice and record of success. When you are ready for information regarding your rights, your potential case and your recovery options, simply contact us. Our Los Angeles employment attorneys are ready to answer your questions and help you pursue your best options for recovery and justice related to your wrongful termination or other employment law matter. The Los Angeles employment attorneys at the Azadian Law Group, PC possess these qualities – and so much more. About Us – We Are The Los Angeles Wrongful Termination Pros! 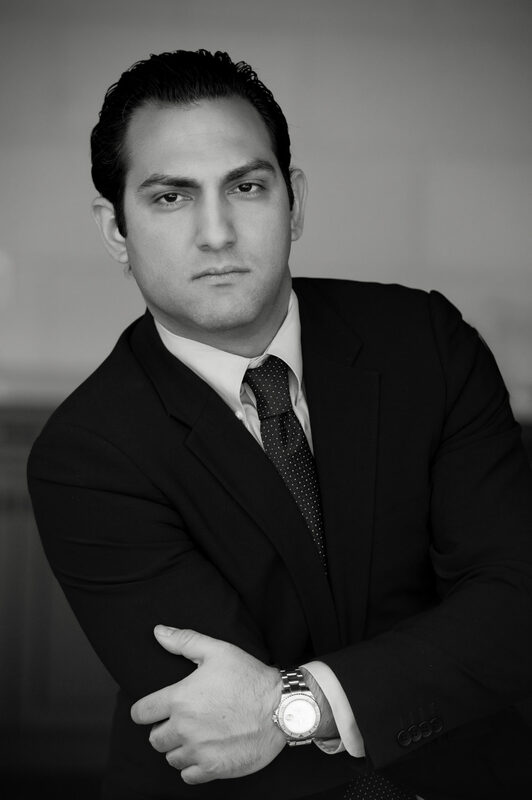 George S. Azadian is the president of the Azadian Law Group, PC in the Los Angeles area, focuses solely on employment law, and is highly regarded as one of the best wrongful termination lawyers in Los Angeles. Exclusively representing employees from C-level executives to minimum wage earners, the employment lawyers at the Azadian Law Group, PC has recovered more than $30,000,000 for their clients in just three years. Having initially worked for years in very large defense firms in California, George S. Azadian and his Associate employment lawyers have a unique insight into how Fortune 500 companies and other organizations operate and have the experience and resources necessary to determine which avenues to explore in order to protect the rights of the firm’s clients in wrongful termination or employment law matters. Employment law refers to a body of the law, which protects workers. These laws are intended to ensure that a variety of rights and benefits are provided to employees, including protection from wrongful termination, discrimination, retaliation, harassment, fair wages, overtime compensation for non-exempt employees, and meal/rest breaks. How to Know If You Have a Wrongful Termination Or Employment Law Case? Many employees who think they have been treated unfairly call our office in Pasadena or downtown Los Angeles unsure whether or not they have a case. This is why we make sure that every potential client speaks to an employment law attorney at our law firm for every consultation and not an intake clerk or a paralegal used by most other Los Angeles employment lawyers. What does a wrongful termination look like to a skilled Los Angeles Employment Lawyer? Wrongful termination of an employee in Los Angeles who recently took medical leave. Wrongful termination of an employee in Los Angeles who complained about a manager’s sexual harassment and hitting on the employee. Wrongful termination of an employee in Los Angeles who complained she was being paid less than men doing her same job. Wrongful termination of a hospital employee who complained that another employee was harming patients. Wrongful termination of an employee in Los Angeles who complained about being discriminated against due to his race by his manager and subjected to unfair standards. Wrongful termination of an employee who was not permitted to return to her same job after giving birth. Wrongful termination of a gay employee in Los Angeles for being late to work when non-gay employees were not terminated for being late to work. Wrongful termination of an employee in Los Angeles who complained about not receiving meal and rest breaks. Wrongful termination of an employee in Los Angeles in retaliation for supporting a co-worker’s complaint of a hostile work environment to human resources. Wrongful termination of an employee in Los Angeles by refusing to allow an employee to return after taking medical leave. Wrongful termination of an employee in Los Angeles who complained about a physical threat from a co-worker. Wrongful termination of an employee in Los Angeles who submitted a doctor’s note for modified work duty due to a medical issue the employee was having. Wrongful termination of an employee who complained that she should be receiving overtime. These are only some examples from the hundreds of wrongful termination cases successfully handled by the skilled Los Angeles wrongful termination lawyers at Azadian Law Group, PC. Please feel free to learn more about wrongful termination law on our dedicated retaliation and wrongful termination page. Potential clients are free to call our office or submit and inquiry through the contact form on our website. Our Los Angeles employment lawyers carefully review the information provided and ask numerous questions to get a better sense of the facts surrounding the potential case. Throughout the consultation we will be delving deep in your employment issues, conduct an interview, and gather any pertinent documents which you may have on hand. If we believe you may have a case, we will also make sure to request your personnel file from your employer to prevent them from potentially tampering with your file. This action puts the employer on notice and ensures that all evidence related to your employment is safeguarded and not deleted by the employer. The personnel file may also contain other important information such as performance reviews, employee handbooks, medical forms, arbitration agreements, and notes related to adverse actions taken against the employee (such as demotions, suspensions, or a termination). Once we decide to accept the case, our workplace lawyers will draft a legal complaint to be filed in court, which details what the case is about and which outlines what supporting information we have. We work with our clients to make sure the facts are accurate and set forth in a persuasive manner. Once the complaint is completed, if the client wishes, we can try to settle the case before it is filed in court by sending the formal complaint along with a detailed legal analysis of the employment claims and damages suffered by our client. If possible, we will also obtain a positive or neutral reference from your former employer so that you have a better chance of finding gainful employment elsewhere. Due to our proven success and results that very few employment rights lawyers have obtained, we are able to bring significant leverage to the negotiating table. In the event the employer does not offer an amount that our client wishes to accept, we promptly file the case in court and aggressively litigate the matter. We keep our clients updated every step of the way and immediately respond to any questions or concerns our clients have. Azadian Law Group, PC covers all costs involved with a case and our expenses are only recovered if you are compensated for your losses. We fully invest our time and resources into every case we handle, and we are proud to ensure that justice is served for our clients. To speak with one of our employment law attorneys today for a free consultation, we welcome you to call us at (626) 449-4944 or (213) 229-9031.